CSI: Color, Stories, Inspiration: CSI Design Team Call! 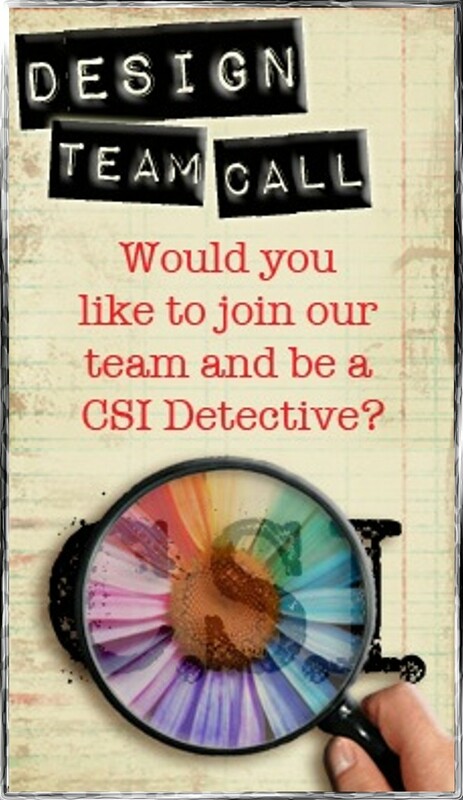 CSI would like to add a few members to our talented team of Detectives. The design team term will run from June 2017 through December 2017 and could possibly be extended after that time. Create one layout per month using our Case Files (you will be assigned to one of two teams and challenges will be sent to you at least a month in advance). Comment on participant entries (we have five commenting teams, so you will be assigned one fifth of the layouts for commenting). Have a Facebook account so you can communicate with the team. Be a follower of the CSI blog and post the design team badge on your blog with a link to our blog. Post our challenge and your layout on your blog within a few days of reveal day with a link back to the CSI blog. Create a layout with one of our April Case File and post them by the deadline (April 30). Post your layout on our sidebar using the inlinkz tool (in addition to posting your name and country, also write "DT Call"). Send Debbi a private message on the CSI Facebook page that you are applying to the team by May 3, 2017. Please include a picture of your layout and include links to your blog and any online galleries. We welcome applicants from all countries. No design team experience is necessary. We look forward to seeing what you create with our April Case Files!